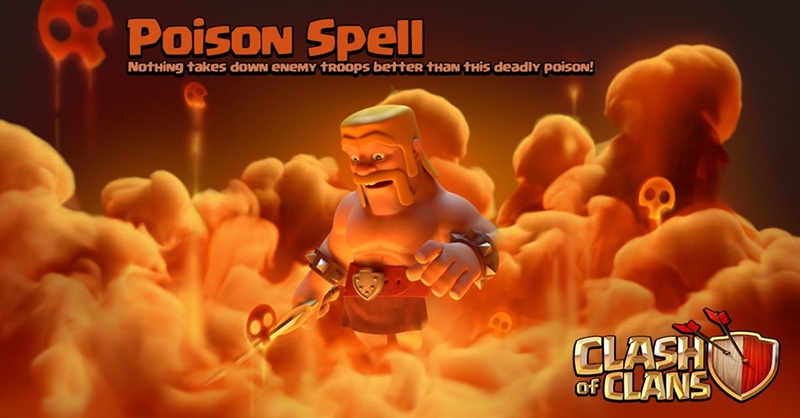 The Poison Spell is one of many Spells in the Clash of Clans game. Nothing takes down enemy troops better then this deadly poison! 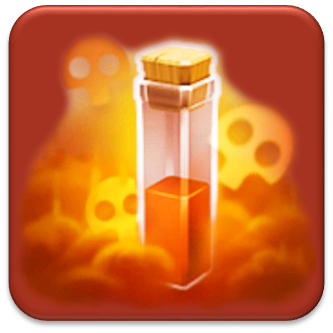 Give your army the upper hand against enemy troops with this deadly poison! Defending units that linger in a Poison Spell’s toxic cloud will move slower, attack slower and take damage with increasing severity over time. Poison spells do not effect structures. It is the first spell available in the Dark Spell Factory. It does damage and slows down all enemy Regular Troops, Dark Troops, Heroes, and Skeletons inside its area of effect, but does not deal damage to buildings. Description of common tactics of usage a Poison Spell during the battle is Here. The Poison Spell is a spell added in the July 1, 2015 update. Prior to the Poison Spell, strategies that did not include a Clan Castle lure utilized a well-placed Lightning Spell to destroy defensive Clan Castle troops. 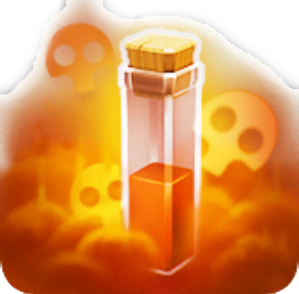 With the introduction of the Poison Spell, players now have a viable alternative to destroying Clan Castle troops. While not a popular strategy, Poison Spells used to stack damage, making it possible to kill any Clan Castle units with enough spells. The Poison Spell used to deal static damage to enemy units, making them more effective at killing Skeleton Traps, in addition to Clan Castle units. Since the Poison Spell changed to progressive damage, this is now a less than favored approach, as they tend to slip out of the spell’s circumference before being destroyed. In the 2015 Halloween event, ghosts emerge after a Poison Spell is thrown and they keep emerging for 3 seconds along with a creepy laughing sound. Poison Spell – Nothing takes down enemy troops better then this deadly poison!